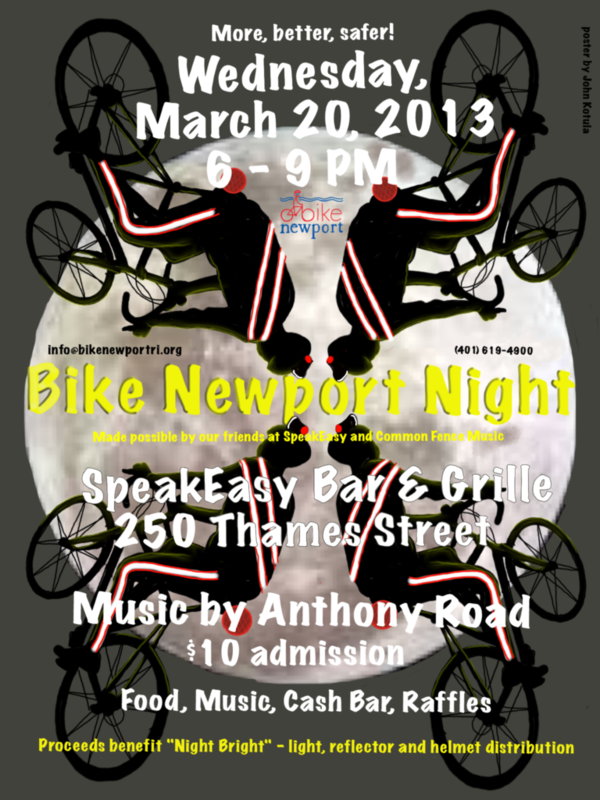 The second annual Bike Newport Night is just around the corner – Wednesday, March 20, 6-9pm at SpeakEasy, 250 Thames Street in Newport. Food by SpeakEasy, music by Anthony Road, and plenty of product to inspire bright nights and help us fund Night Bright – the initiative to distribute night equipment and information to our bicycle-dependent workers. Thanks to our numerous contributors – raffle donations are rolling in! If you’d like to add to the collection, let us know – (401) 619-4900, info@bikenewportri.org Thank you!